This fuel filter complete will fit all models of the KBE5S, KBE5L, KBE5L2, 125NA(Hotgun), 1JA, and EPX. 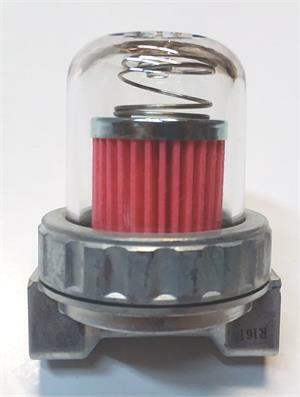 The fuel filter complete includes a filter and the housing for the filter. Installation requires disconnecting both fuel lines on either side of the housing. Repriming is necessary and may require 2 or 3 on/off cycles. Be sure to check that the filter is pushed up onto the tube inside the housing. © 2019 Val6 Parts - A1 Infrared Technologies, All Rights Reserved.